FARMserver can be used throughout the growing season, from Seed Selection to viewing Crop Health Imagery. Now, as the weather begins to warm and farmers get that itch to get back out in the field, is a great time to get your spring fever fix by creating prescriptions with FARMserver’s new Management Zone Tool. 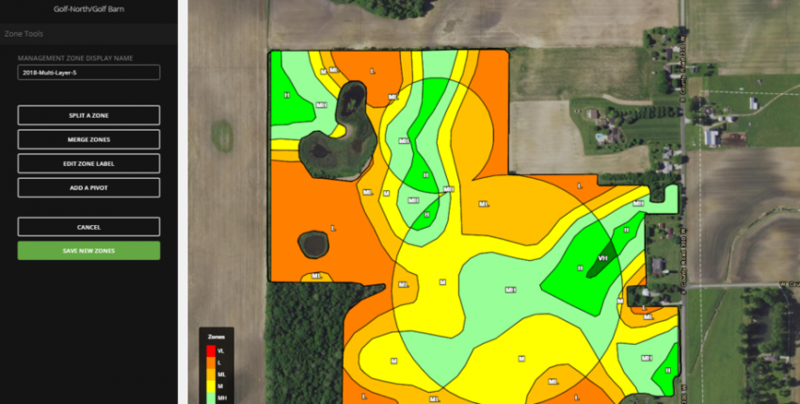 This tool allows users to build management zones from multiple layers, adjusting the influence of each layer individually to create an accurate representation of your fields. The Management Zone Tool has created a new way to build zones that has been out of reach for most farms in the past. Historically, writing variable rate prescriptions for any application took a team of people, including an agronomist, a seed representative, equipment dealer, and a precision farming advisor. With FARMserver, we can now write our own prescriptions using our own knowledge of the field and the input from the seed advisor to build successful and profitable zones. There are several ways to write a population prescription for planting. Here are a few ways FARMserver will allow you to build planting zones.